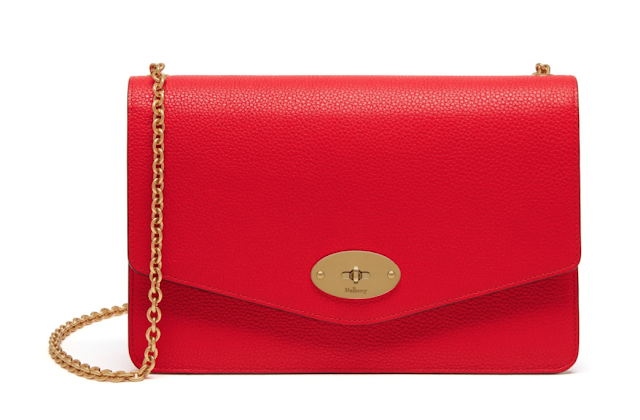 My wallet is going to be ever so lighter thanks to the amazing LK Bennett sale! There are so many great pieces on sale right now, making it the perfect time to update your wardrobe. From snazzy workwear to gorgeous shoes, you really will be spoilt for choice. Many pieces that I've had my beady eye on are now greatly reduced - patience pays off! 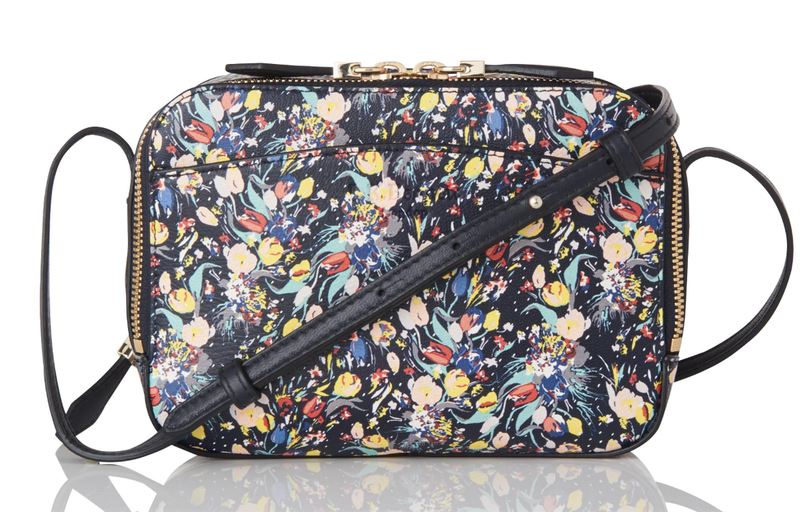 Here are some of my top picks from the LK Bennett sale... be quick! 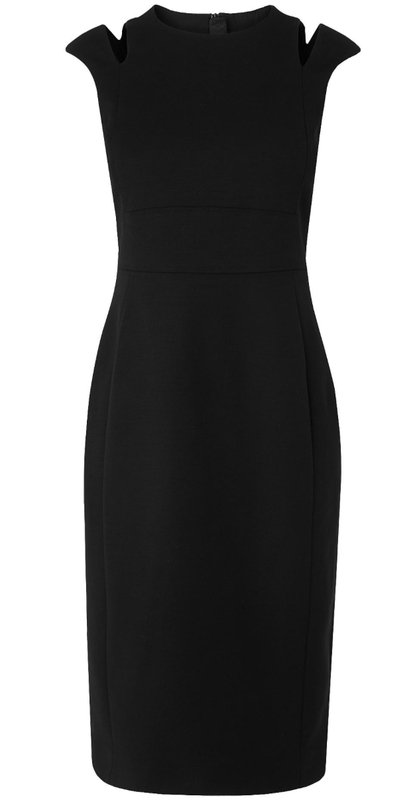 The Nelly Black Dress: really, this is the only black dress you'll ever need. 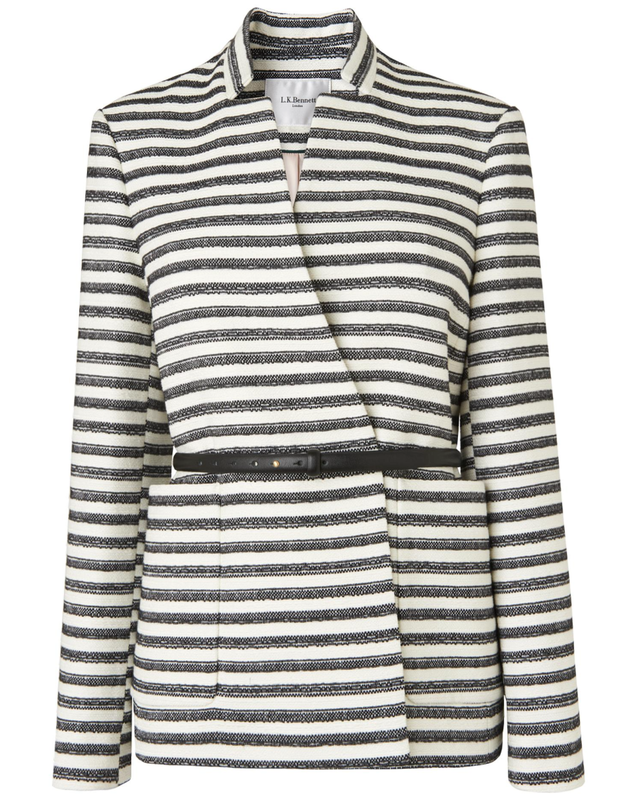 Perfect for work and as a transitional piece, dress up with a pair of fierce kitten heels and a snazzy jacket. 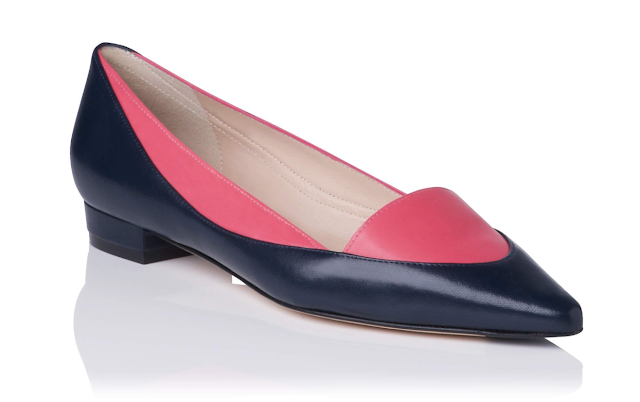 Cassie Colour Block Point Toe Flat: worn by Theresa May, these funky flats scream 1960s! They look great with black trousers and jeans. Mariel Printed Leather Bag: add some floral flair to your look with this handy cross body bag- perfect for the summer! Cora Black Cotton Mix Jacket: worn by Amber Rudd, the Home Secretary, this is a great jacket for summer which will see you through the autumn. It also comes with a thin leather belt for a nipped in look. 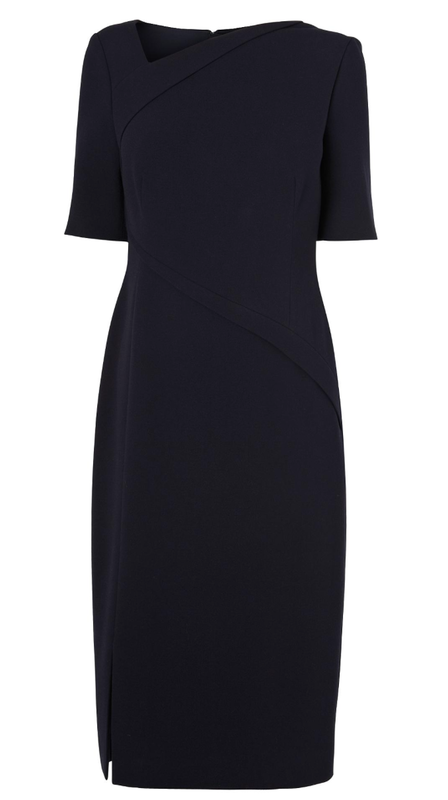 Saskia Sloane Dress: and perhaps my favourite piece, the dress worn by Theresa May in her Vogue shoot can be yours! It's perfect in every way. In a busy week for the Prime Minister, we saw the start of the Brexit negotiations and the State Opening of Parliament. 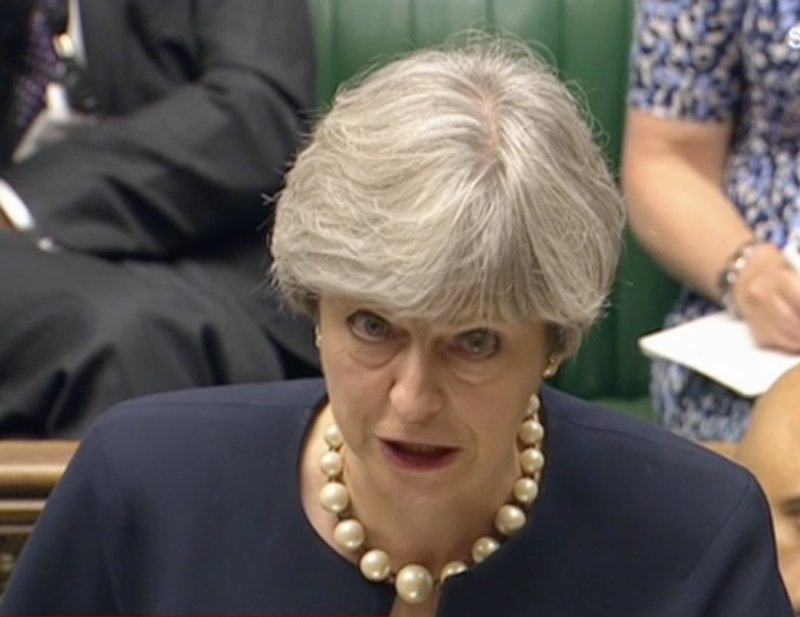 On Monday, in response to another dreadful terrorist attack, the Prime Minister delivered a statement on the steps of Number 10. Later in the day, Theresa May welcomed Irish Taoiseach Leo Varadkar to Number 10. May wore a black Amanda Wakeley suit, the Divine flats from Russell & Bromley and the Amanda Wakeley chain necklace and bracelet. On Wednesday, May attended the State Opening of Parliament and the Queen's Speech. Wearing a trusty navy Escada suit, May accessorised with her favourite pair of leopard print kitten heels from LK Bennett and the Tavira scarf from Megan Ferris. On Thursday, May addressed the House of Commons regarding the Grenfell Tower fire before heading to the EU Commission in Brussels. May wore a navy dress and matching coat with sky blue panels from Amanda Wakeley and an oversized string of pearls. Excitingly, she debuted a new pair of shoes! 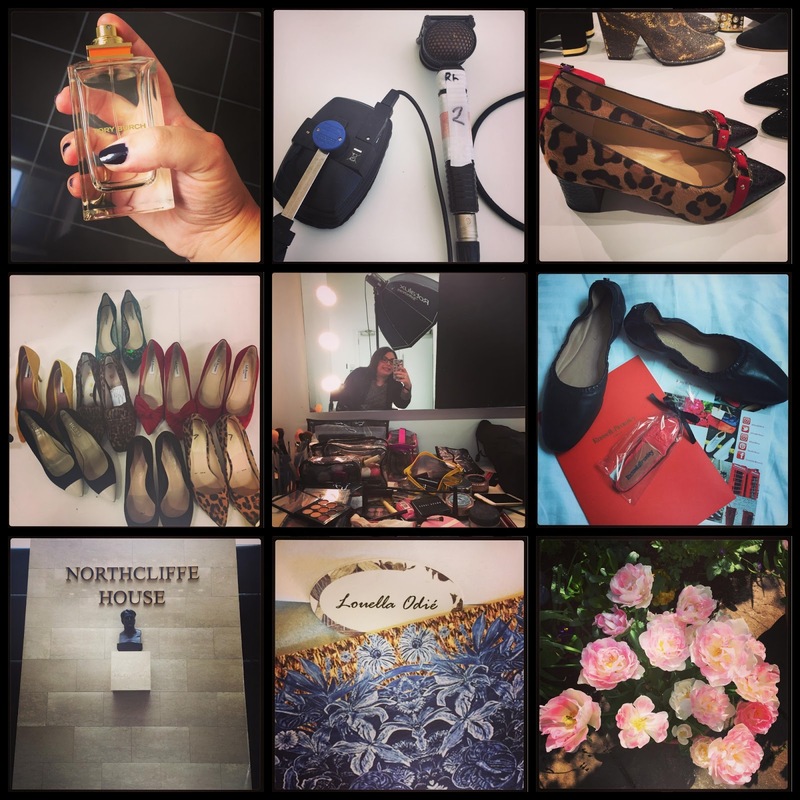 A bespoke pair of leopard Kitty heels from Charlotte Olympia, similar in style to the pair she recently wore for Red Nose Day. On Friday, May attended the second day of talks at the EU Commission, this time wearing a white blazer from Peserico, navy trousers and the Amanda Wakeley chain accessories set. Her shoes were the Divine flats. On Saturday, May marked Armed Forces Day celebrations in Liverpool. Wearing one of our favourite outfits, a grey tweed skirt suit with waist bow detailing, May wore the sparkly Lo Fi flats from Russell & Bromley and debuted the fiery red Darley clutch with gold chain from Mulberry. 26 letters, 26 fashion focused posts about the Prime Minister. 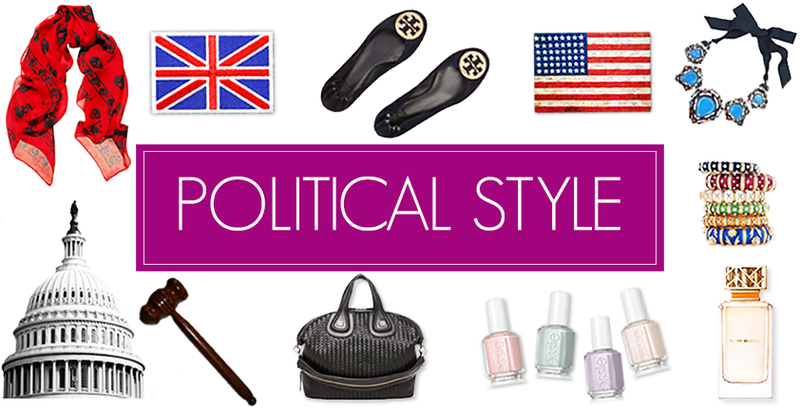 During May and June, Political Style published the Theresa May A-Z, a definitive guide to all things fashion related of our most stylish Prime Minister. 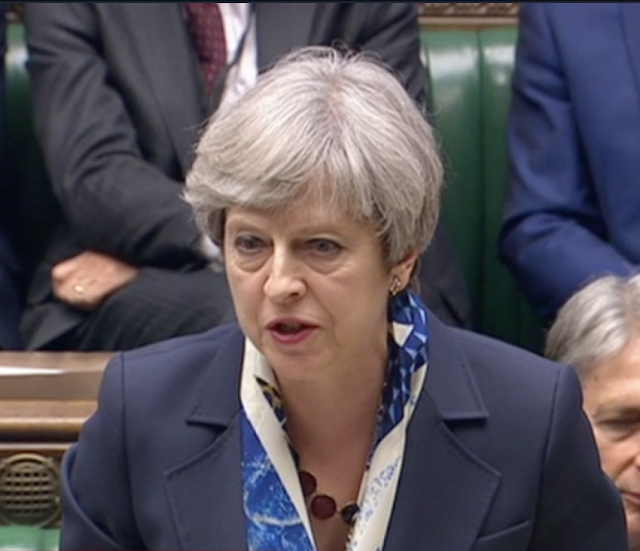 From Amanda Wakeley to zany outfit choices, the posts discussed Theresa May's love of fashion, and how she is using her public position to empower women's wardrobe choices in the workplace. From researching the content for the posts to reading feedback from readers, it is clear that Theresa May's public facing and fashion forward image is of interest to people across the globe. 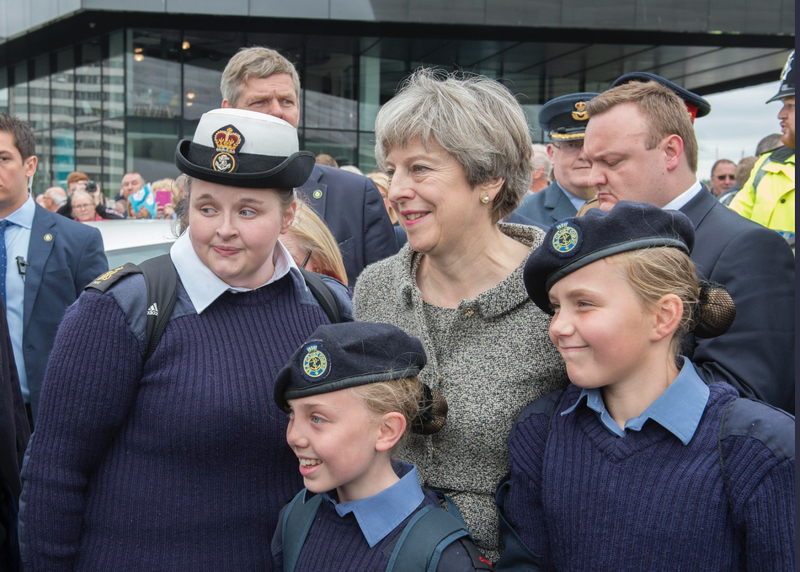 The Prime Minister's stylish choices provide a window into her personality, and provide us, the information-hungry electorate with a better understanding of the personal woman behind the professional, public image. Theresa May is a private person, and rarely gives much away about her private life. This makes her wardrobe even more fascinating to track and analyze, and gives bloggers like myself an exciting challenge to interpret! What have we learned about Theresa May's approach to fashion? The Prime Minister is loyal to her favourite brands, and turns to them for a stock of staples in her wardrobe. Whether it's Escada for business-focused workwear, or Amanda Wakeley for glamorous evening gowns, May knows what she likes and what works for her. Similarly, May invests in pieces that will stand the test of time. We've seen her repeat everything from jackets to trousers, shoes to accessories, mixing them up with other items to provide an instant refresh. Many pieces in her wardrobe are what I describe as 'classics with a twist:' a block heel with sparkly, sequinned detail, an oversized pearl necklace or a coat embellished with feathers. May takes a risk with what she wears, and certainly knows how to dress for an occasion. She'll often echo the event through what she wears, wearing a red hat by Liz Felix Millinery for example to a state visit event for the President of China. Appropriate and spot-on, May dresses appropriately and with a flourish for everything she does. And importantly, Theresa May is supportive of British designers. 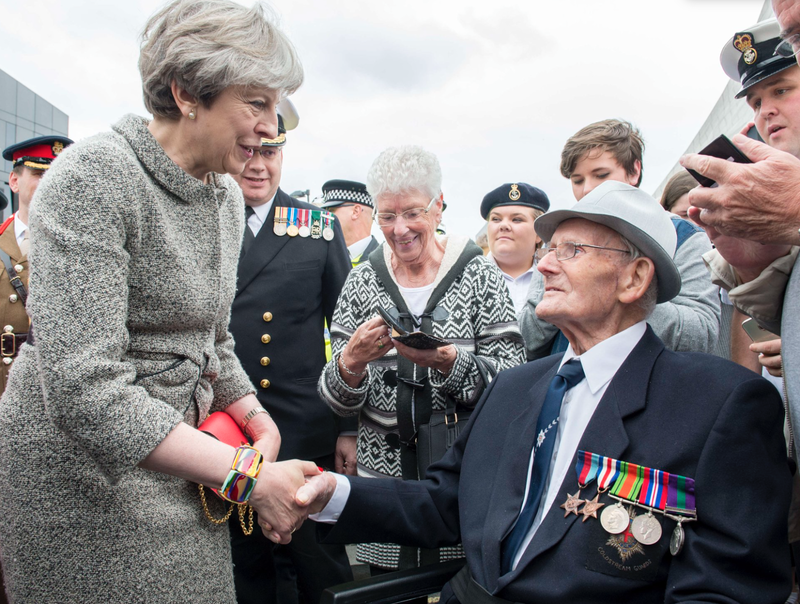 We're seeing the Prime Minister increasingly turn to tailor Daniel Blake for many structured workwear pieces, notably the bright blue suit she wore on her return to Downing Street and a military inspired navy coat that is a staple through the winter months. May is also championing young designers who are starting out in their careers- giving a particular nod to Megan Ferris, a printed textiles graduate who produces amazing silk scarves. Whilst Theresa May has had a tough election, one thing remains clear- her sense of style is as strong and bold as ever. 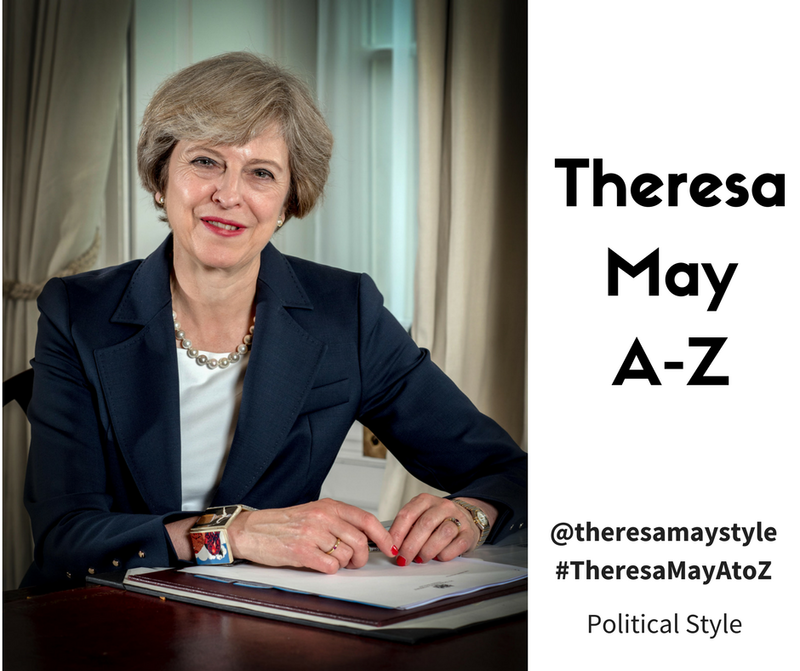 Catch up with the whole Theresa May A-Z series here. Theresa May's post election wardrobe: what does it mean? We're over a week on from the results of the 2017 General Election. With no clear winner and a country unsure of what will come next, it has been for many, an election that we'd like to forget. For Theresa May, the election was a huge gamble that didn't pay off. 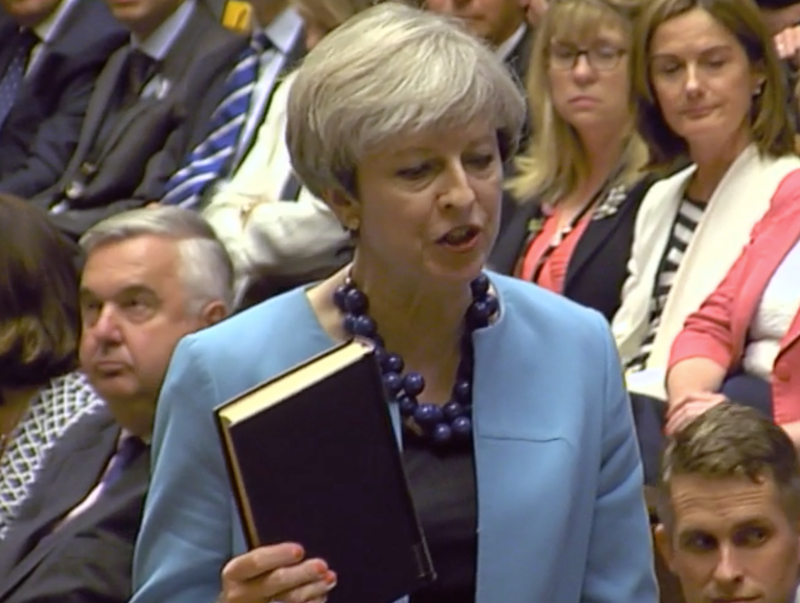 Whilst the majority of the discussion and post-election analysis has focused on leadership, strategy and the individuals involved, little has been written about May's post-election wardrobe and what her shift in appearance means. Before polling day, we saw May embrace bold colours, patterns and prints, a visual sign of her confidence as a leader. Her bright red Amanda Wakeley suit made many appearances, and her shoes were as sparkly as ever. Switch to post 8th June, and May is swathed in tones of navy and white, the primary hues paired down to reflect her personal and public mood. May's speech outside Downing Street on the 9th June was a bright spot in her post election wardrobe. She was still Prime Minister and the Conservatives were the largest party. To convey this, May displayed her party loyalty and determination as leader by wearing a bright blue skirt and jacket suit from British designer, Daniel Blake. The Orchid jacket and slim tailoring is an updated version of the typical power suit worn by Margaret Thatcher, the bold colour helping May to stand out from the crowd and redefine her power and position moving forward. 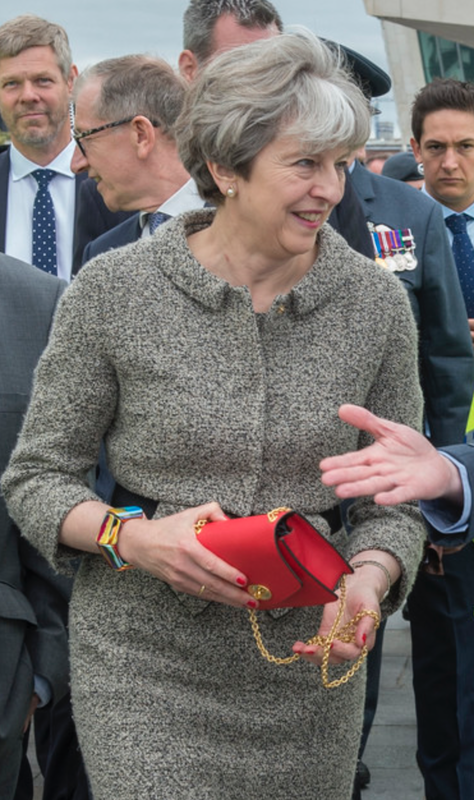 Compared with May's sunny Amanda Wakeley outfit on her entry to Downing Street in July 2016, May's bright blue outfit is more traditional and eye-catching for perhaps different, confidence boosting reasons. Despite this visual change, May's support for British design remains strong and unwavering. 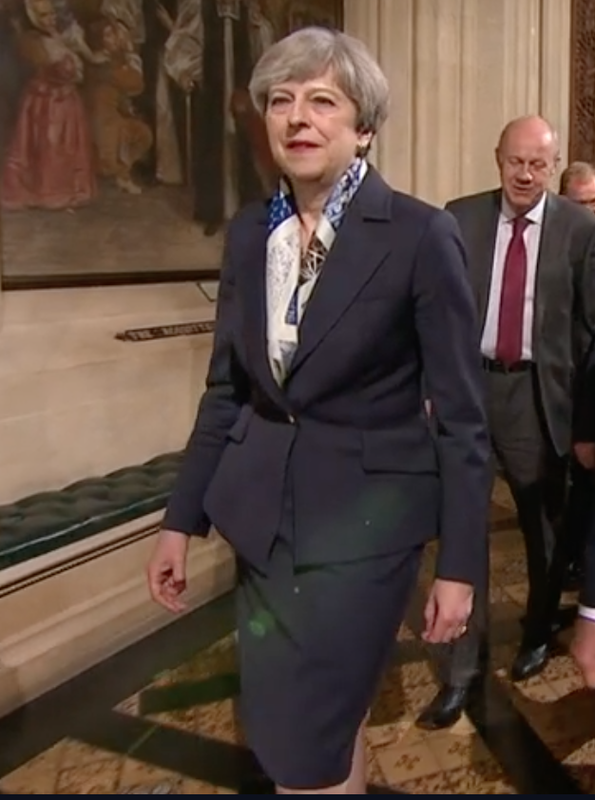 May returned to Amanda Wakeley for her first day back in the job of government, opting for a black and white printed jacket and trousers for meetings at No 10 and for an appearance at the 1922 Committee. 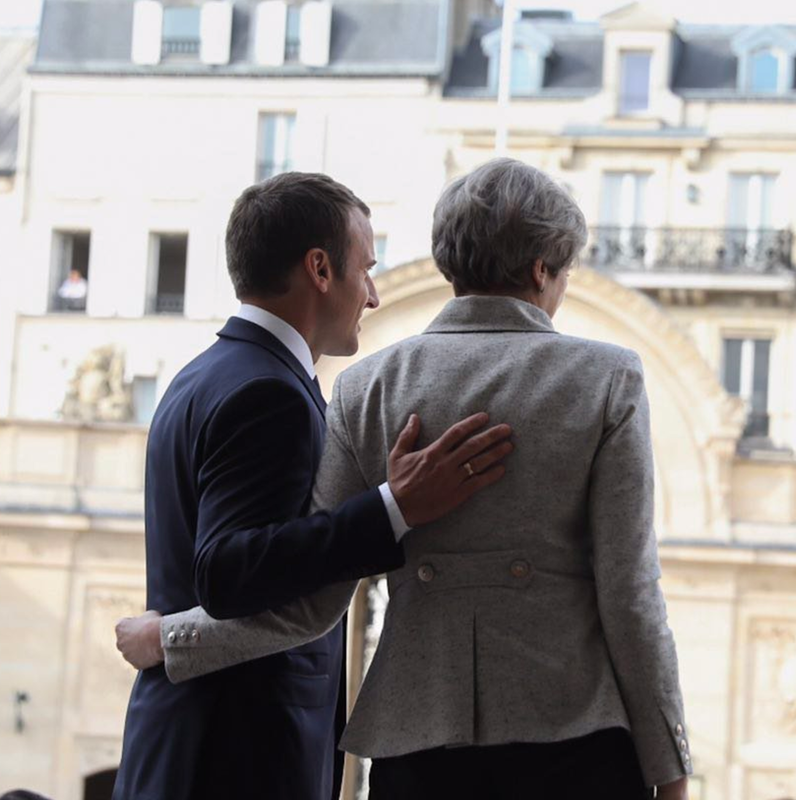 And for her first foreign trip post election to Paris, May wore the Notch military style jacket by Daniel Blake- a clear focus on sharp tailoring and a public demonstration that she was back to business. Over the past week we have seen May rely on her uniform of well loved pieces. In a time of immense political, social and personal stress, these items provide May with a sense of familiarity and confidence. We saw for example, May wearing a navy Amanda Wakeley dress, baby blue coat and the Balls necklace from Mirta Bijoux for her attendance at the swearing in of all Members of Parliament. Toeing the party line, this outfit is a repeat, and one which provides memories of a happier time when May took the mantle of Prime Minister in July 2016. Basic in their silhouette and palette, May has embraced the 'back to basics' look over the past seven days, conveying a reassessment of her leadership and her future as Prime Minister. Clothes are not just a frivolous subject, often confined to the style section of newspapers or subject for discussion on blogs like mine. The personal projection image has a profound impact on our public officials, and as we've seen with Theresa May, her image and choice of clothes have changed since the monumental results of the General Election. 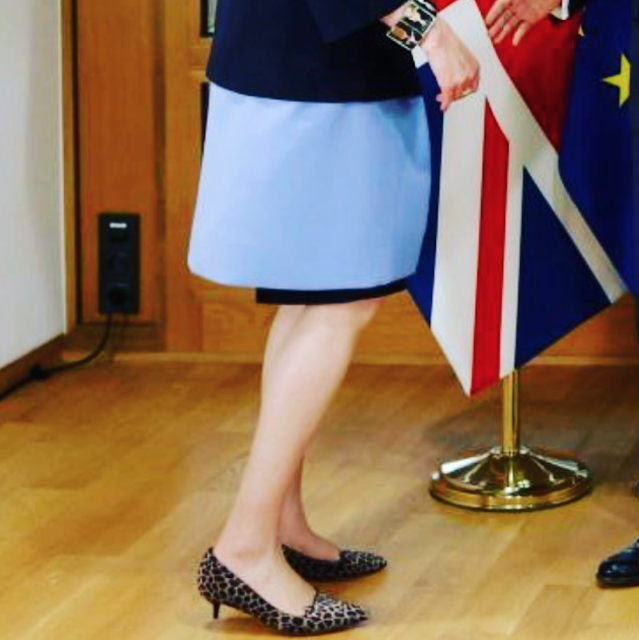 Perhaps we are now seeing the real Theresa May through her choice of clothes. A woman of simple things, straight talking, and with a vision for getting the job done. An honest and real human being like us all. 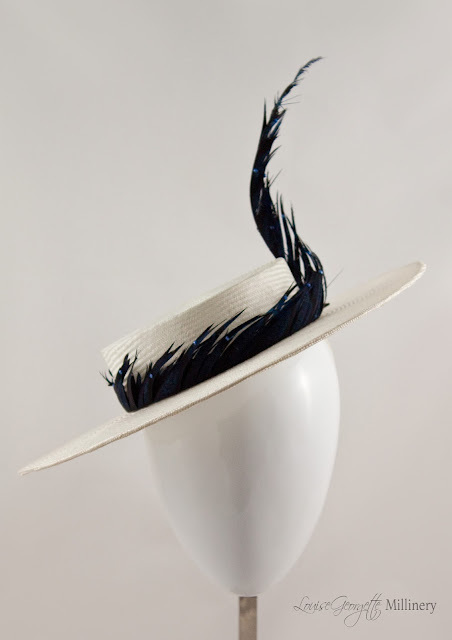 It's officially hat season, and with garden parties in full swing and Ascot just around the corner, I'm excited to share the designs of Louise Georgette Millinery. Originally from Sydney, Louise is based in the UK and creates hats outside of her day job. She fell into the hat making world during her first Ascot event back in 2014, at a friend's 30th birthday. This event provided her with the motivation to pursue part time millinery studies around full time work for two years. 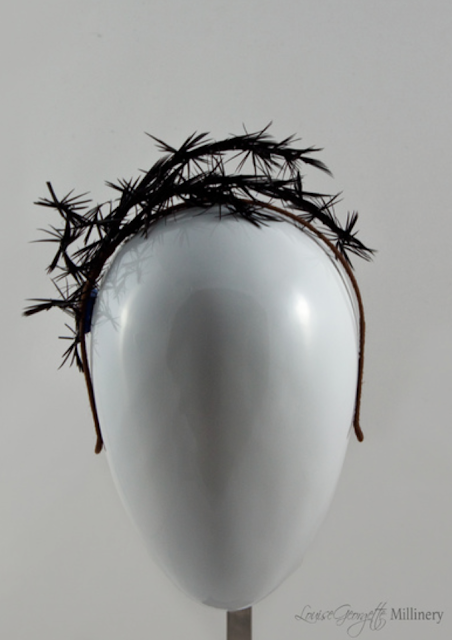 After completing her second year of millinery studies she interned with some world renowned London based milliners. Louise's 2017 Spring/Summer collection is named 'Feathered Frolic,' and is inspired by sculptural experimentation with a mix of feathers, leather, sinamay and parisisal straws. Swarovski crystals have been thrown into the mix for a subtle, sparkling finish. These pieces have been designed for the discerning but fun-loving sophisticate! 9.30am to 6pm every day.